We provide the fastest, easy, cost effective way to compare and pre-book airport, point to point airport transfers, taxis and any other mode of transportation in Nairobi Airport. When booking using our website, you will find the lowest rates in Nairobi international Airport for; airport shuttle rides, shared ride vans, private van and taxis transfers and private sedans, vans, sedans. We can also provide all types of rides including door to door service for your convenience including hotel shuttles to and from all airport terminals. We use a modern fleet of well-maintained fully insured vehicles. We can also provide transfer services for an extended period of time for business travellers requiring constant movement. We can also organize transfers to other distant towns from Nairobi. Whether you are traveling for business or for leisure, whether you are by yourself or a group, with your family, whether you are an international travel agent or organizing transportation for a group, we can meet your expectations. Our friendly, professional drivers provide prompt, courteous service to the entire City from the airport to the hotel. We will monitor your flight and monitor any delays. If you are not happy with your hotel, we will transfer you to another hotel without hustles. Nairobi is the most industrialized city in Kenya, and it is the country's capital city. Numerous multinational companies and organizations have their regional headquarters in Nairobi because it is the fastest growing city in East Africa. From Nairobi, business and leisure travellers can visit destinations in Kenya like Nairobi JKIA, Mombasa, Lamu, Nanyuki and Maasai Mara. Additionally, Nairobi is connected to cities in the region, such as Arusha and Kampala. You can easily find accommodation close to the main entertainment districts, for example, in Westlands. Explore malls like the Sarit Centre, two rivers mall, restaurants and vibrant nightclubs. Westlands is one of the most vibrant neighborhoods, with a variety of restaurants, entertainment and recreational centers. Jomo Kenyatta International Airport (IATA: NBO, ICAO: HKJK) is an international airport in Nairobi, the capital of and largest city in Kenya. 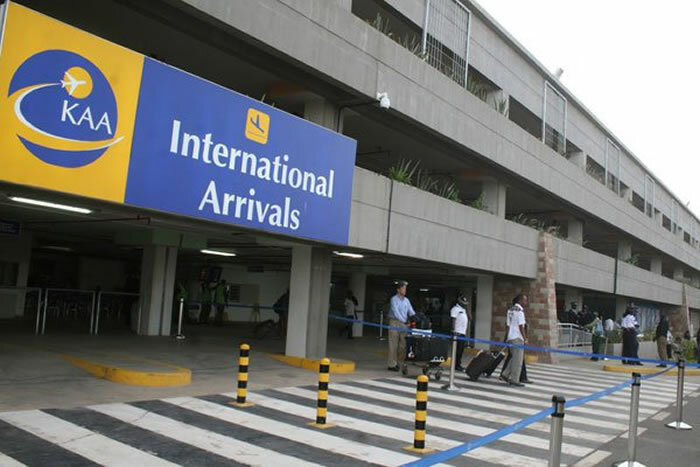 Located in the Embakasi suburb 15 kilometres (9 mi) southeast of Nairobi’s central business district, the airport has scheduled flights to destinations in over 50 countries. The airport is named after Jomo Kenyatta, Kenya’s first president and prime minister. The airport served over 7 million passengers in 2016,making it the seventh busiest airport in passenger traffic on the continent. Welcome to the Jomo Kenyatta International Airport in Nairobi, Africa’s premier hub and ideal gateway into and out of East and Central Africa. JKIA is the flagship airport of The KAA. The airport boasts of over 40 passenger airlines and 25 cargo airlines. Jomo Kenyatta International Airport, formerly called Embakasi Airport and Nairobi International Airport, is Kenya’s largest aviation facility, and the busiest airport in East Africa. It’s importance as an aviation center makes it the pace setter for other airports in the region. To avoid being hassled looking for a Taxi at the Airport by the aggressive taxi drivers looking for business, its better to pre-book. You will pay less as the airport drivers might be tempted to charge exorbitant process to un suspecting tourists and other foreigners. We offer a complete meet and greet service at Jomo Kenyatta International Airport Nairobi. Please use our booking engine to pre-book and pay for your airport transfer, when you search fares, various options will populate starting from the cheapest fares. Please continue in the normal way you would book a flight ticket. We will be waiting for you with your name ot the gate where you will disembark. Please do not get confused by the drivers looking for business.